Sifu Rick Wong has studied traditional kung fu and contemporary wushu for more than 30 years in both the United States and China. 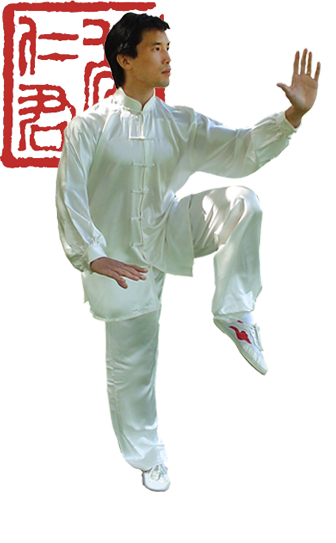 He founded the Chinese Martial Arts Center in 1992, and has also taught at Boston University (1987– 1989) and was Harvard University’s first wushu instructor (2003-2010). He was a gold medalist at numerous national and international competitions, including being a member of the world cup champion USA Team at the First International Shuai Chiao Tournament in Paris, before becoming a judge himself. Wong has since coached multiple USAWKF and ICMAC tournaments champions. In 2008, he was featured in the Discovery Channel Show "Time Warp," which explored the physics of Wushu. Other credits include: featured actor in a commercial for Danvers Savings Bank, in which he played the role of a martial arts teacher (2003); and understudy for all of the martial arts roles in the Boston run of the national theatre production of “The Woman Warrior," named by “USA Today” as "Best New Play of the Year" (1994). Other awards and citations include: Massachusetts State Senate Citation for “Achievements in Martial Arts and Physical Therapy” (2009); "Chinese Arts & Culture Service Award", given by the Chinese Culture Connection of New England (2009); Kung Fu Instructor of the Year, awarded by the World Martial Arts Federation (2004). A top student of master Bow Sim Mark, Wong is fluent in both internal and external styles. In addition, he has trained Contemporary Wushu with Sifu Nick Gracenin, traditional Shaolin kung fu and Shuai Chiao with Sifu Peter Chema and Oyama karate with Sensei Ed Frazier. He is a senior physical therapist at Spaulding Rehabilitation Hospital, and has lectured on therapeutic uses of tai chi at numerous venues, including Children’s Hospital in Boston and Lesley University in Cambridge. As a licensed physical therapist, he is able to modify training to accommodate all levels of health, fitness, and disability.